Come with us to search the Lowcountry's tidal waters for the highly sought after fighting Redfish and other various inshore fish, such as the Speckled Sea Trout, Flounder, Lady Fish, and Black Drum. Head out with us to nearshore reefs to target Black Sea Bass, Porgies, Black Drum, Shark, Spade Fish, King Mackerel and Red Drum. Invite friends, co-workers, or bachelor/bachelorette parties for the trip of a lifetime on a group charter complete with a full tournament package. 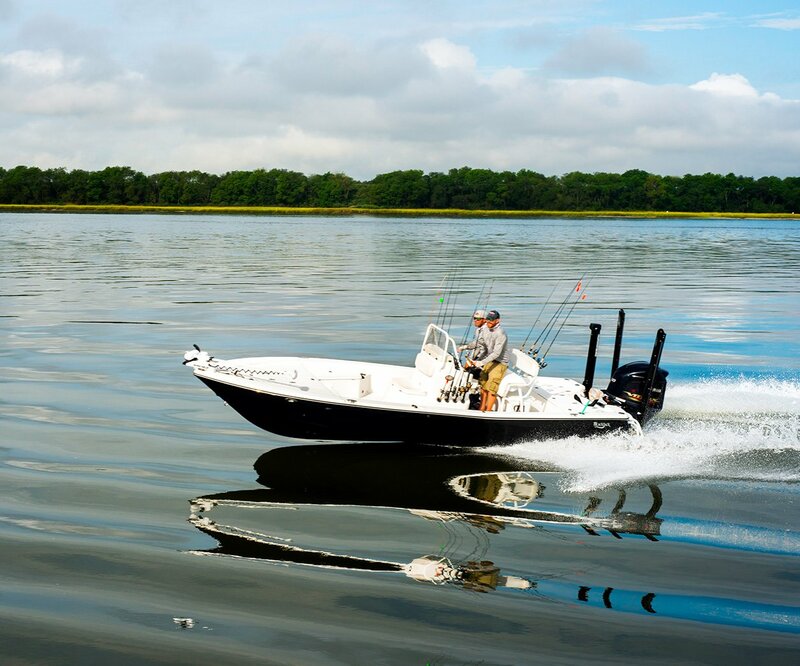 If fishing is not your style, explore the beauty of the Lowcountry away from the crowds on one of our leisure cruises. The most important thing is for you to have a great time! Named the “Best Fishing Charter” Charleston, SC has to offer by Charleston City Paper, we’re dedicated to helping anglers of all skill levels experience the world-class fishing of our region. Whether you’re a local, visiting on business, or vacationing with the family, let RedFin fishing charters Charleston, SC show you an unforgettable day on the water—supported by the knowledge of our top-rated guides and top-quality equipment. RedFin Charters offers additional amenities to make the trip as pleasurable as it is memorable. We provide complimentary water, an iced-down cooler, sunscreen (in case you forget), insect repellent and even cigars for the aficionado upon request. If a notorious Charleston pop-up shower rains on your trip, we will keep you dry with extra rain gear. In addition, a GoPro HD Camera is on board upon request and ready to capture you in action. We have various GoPro packages to offer so you can share footage with your envious friends and prove that your "fish tale" is actually true. RedFin Charters is passionate about preserving the local fish population through education and conservation. A portion of our proceeds is donated to The South Carolina Aquarium's Redfish Exhibit, which promotes the education and preservation of Redfish. We also partner with Charleston WaterKeeper to protect our rights for clean water in our rivers, tidal creeks and estuaries, and ToadFish Outfitters for the nourishment of oyster and fish habitats. See our calendar for available dates/times.